Camper Retreat Near Gatlinburg TN. Best Camping in All of the Smoky Mountains! Property 1: Camper Retreat Near Gatlinburg TN. Best Camping in All of the Smoky Mountains! Charming & very secluded at Smith Mountain Lake. Property 5: Charming & very secluded at Smith Mountain Lake. Sandpiper 40ft RV @EvansCliff /HotTub on deck, BBQ grill, Fall Rates!! Property 8: Sandpiper 40ft RV @EvansCliff /HotTub on deck, BBQ grill, Fall Rates!! 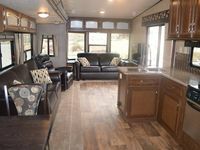 Dakota 29ft RV @EvansCliff w/Hot Tub on Deck, Beautiful Canyon Overlook! Property 11: Dakota 29ft RV @EvansCliff w/Hot Tub on Deck, Beautiful Canyon Overlook! Property 15: Rustic Get-Away Near The La Sal Mountains 35 Miles Southeast Of Moab, Utah. 25ft RV, 'Sport' @EvansCliff, Hot Tub!, Cliff side canyon views to die for! Property 22: 25ft RV, 'Sport' @EvansCliff, Hot Tub!, Cliff side canyon views to die for! Property 24: Strip View of Stratosphere & Pets can stay too! Race Track 7 Miles away! Property 41: Delaware River Getaway! Property 43: Waterfront Fishing Retreat! New 2 Bedroom 2 Bath home on Winery Row 46W. Heart of Willow Creek AVA. Property 45: New 2 Bedroom 2 Bath home on Winery Row 46W. Heart of Willow Creek AVA. Cozy, quiet retreat near Blue Ridge Parkway. 2 bed, 1 bath, Close to Downtown! Property 48: Cozy, quiet retreat near Blue Ridge Parkway. 2 bed, 1 bath, Close to Downtown! Beautiful home in the country! This home was located in the heart of the wine country. It was beautifully decorated and had everything you would need . Beds were very cozy and very comfortable. The scenery outside was spectacular with rolling hills and a creek beyond the house. It was not far from a Trader Joe&rsquo;s in case you need to pick up groceries. And of course you are close to all the wineries!